My soul purpose of the foundation is to help families make sure their child or adult with special needs gets the quality of life they deserve. I believe that Mikayla was put on this earth to make a difference and, from the moment she entered this world, that is exactly what she has done. I am the proud mom to this sweet angel, Miss Mikayla Marie. Mikayla was diagnosed with Aicardi Syndrome at the age of 2 ½ months. At this time, we were told that Mikayla would not talk, walk and would not live past the age of one. This was a lot to swallow for a young couple that thought their family life had just begun. My husband at the time was diagnosed with Lupus and disabled, and then to learn we have a special needs child... WHY? My first thoughts were, “What had I done to deserve this?” or “Is God mad at me?” We all played the blame game. Then one day I decided “NO, this isn't going to happen!” and from that day on I lived my life from the perspective of “NO GIVIN UP”. When Mikayla was two years old, I became a single mom. Working a full time job, and taking Mikayla to therapy and doctor appointments kept me very busy. Mikayla was in and out of the hospital with pneumonia 44 times by the age of 5 years. At this time, Mikayla was able to attend public school and so another journey began. I always felt as if it was a fight, but I had to. I was her voice. Mikayla could not speak, she could not tell teachers, doctors or therapists her needs, likes or dislikes. I was her only advocate. It was with great pride that I took on this role, but it wasn't a walk in the park. I had to prove myself continuously. I had to apply for equipment and explain why I felt there was a need. I had to apply for special funding for “EVERYTHING”. My correspondence would always include a photo of Mikayla and a letter explaining / pleading for her to be chosen. I have three other amazing kids: Audrey, Steel and Hunter. I would listen to them every day tell me what they wanted or needed. All the while, Mikayla could not even tell me if she was hungry. My kids are my drive and my “WHY”. I just knew I had to make a difference in all their lives, not just in Mikayla’s life. Mikayla’s siblings love her unconditionally and, through our family adventures, she was included in everything! One way or another, we made sure she could go. My day starts at 3:45 am with tube feedings, followed with seizure meds and bathing. All of MIkayla’s personal hygiene is dependent on me or the care giver. We also use special equipment such as wheelchairs, standers, and a bathing chair every day. Even the most basic chair for Mikayla to sit in at home with the family or to use for watching tv has to be specially designed for her. I could not sleep at night due to worrying about her safety, so when she was three years old, I got her a hospital bed. 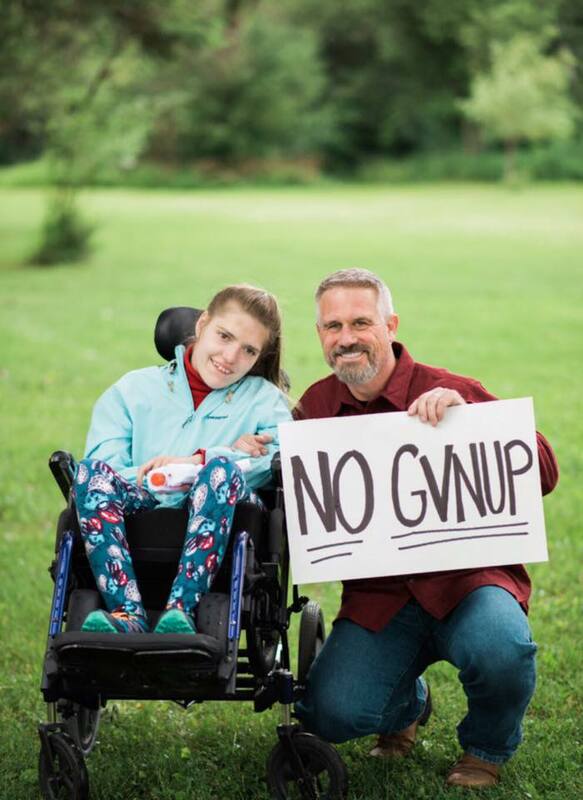 As Mikayla got older, her seizures became more severe. Mikayla became stronger and also began to move around more. The mornings I found Mikayla entangled in her bed with arms or legs hanging through the bars. My fear was her head getting caught in the bars and possibly strangling herself. I decided to get her a safer bed, and the cost was $9000.00. 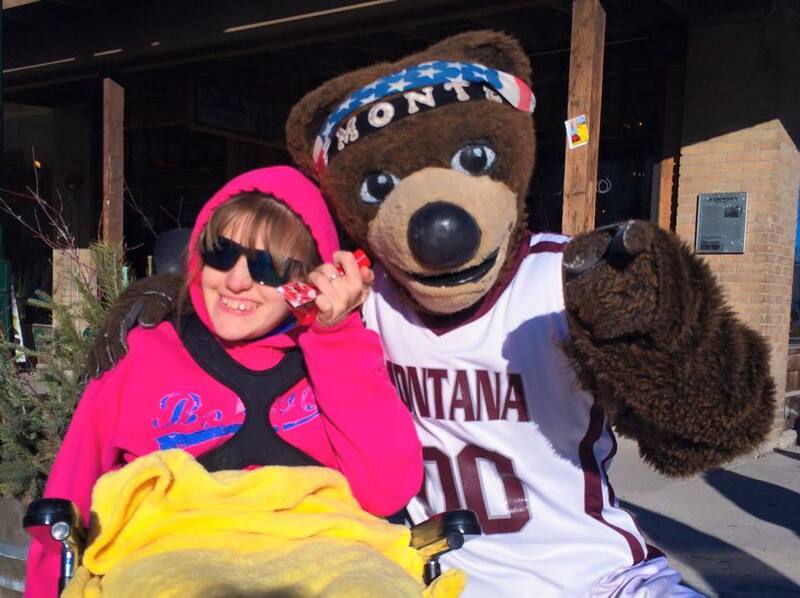 Jenifer Lugenbeel from Norco started the process with Montana Medicaid. I was denied as the state felt since the bed was electric that it was a convenience to ME. The next step was court against Medicaid. After four times of driving to Helena, sending out packets to every government official in the state of Montana including the President of the United States, I was denied for the last time. But then I was told to put my daughter on the floor and there she would be safe. To be perfectly honest I was not accepting their answer. The hardest thing about raising a child with special needs the fight for what is best for your child. 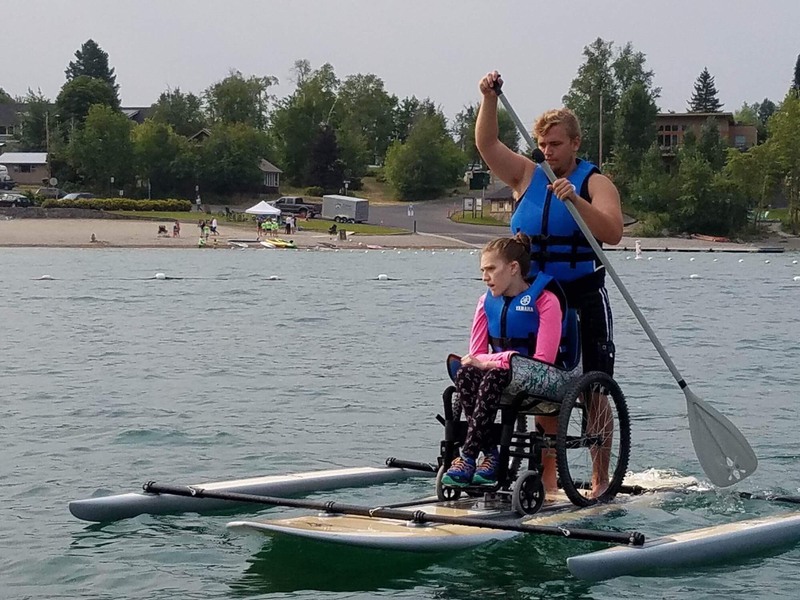 When I felt I found something that would make a difference in Mikayla’s life, I had to prove myself “WHY” this would give her a better quality of life. Being a single mom and trying to make ends meet was not always the easiest but I was not giving up and I was not going to take “NO” for an answer. 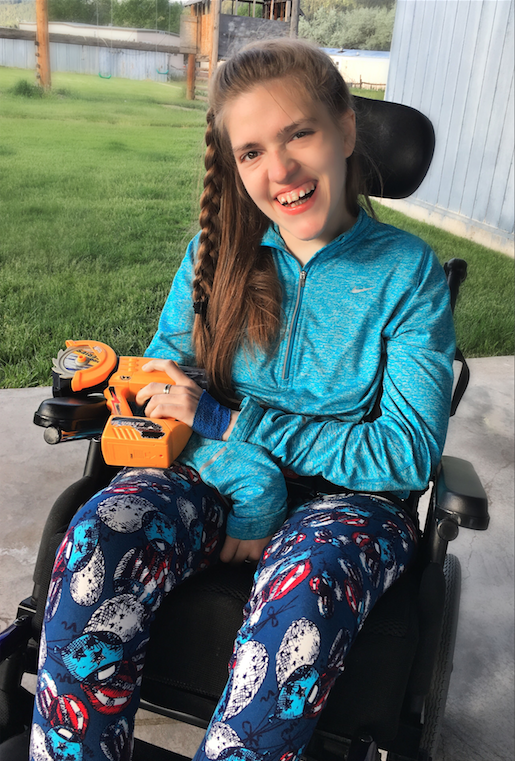 Sabrina Wisher, founder of the organization and mother to Mikayla, started the foundation 6 years ago when she decided to help other families get the medical equipment they need to support their loved ones affected by a disability. 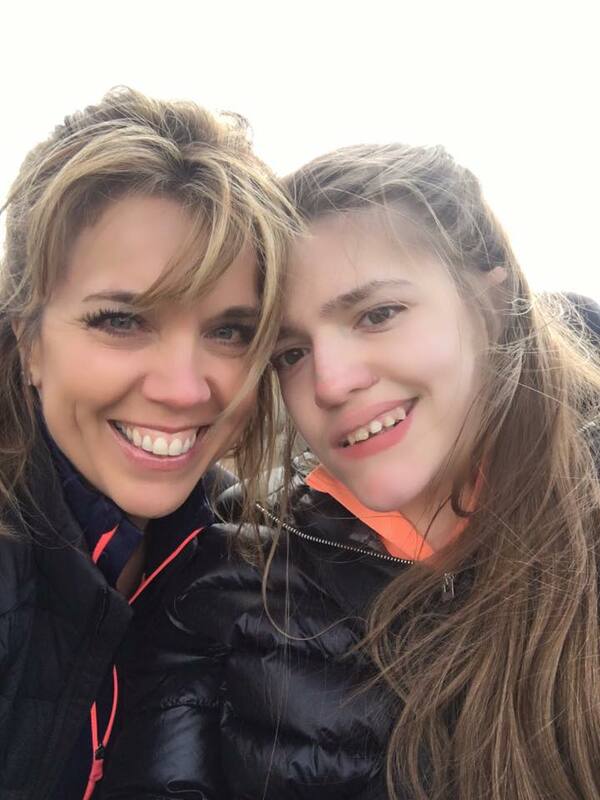 Wisher has since been recognized as Mother of the Year by American Mothers for her efforts and continues to fight for those who are differently abled get the quality of life they deserve.